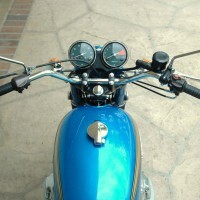 Restored 1973 BMW R75/5 Motorcycle. 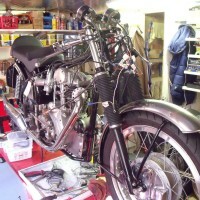 The engine was stripped, the tolerances were checked and then reassembled with all new seals and gaskets. All of the casings were vapour blasted. 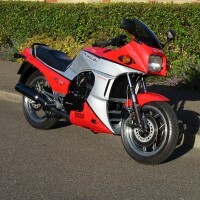 A new clutch assembly and replacement starter motor was fitted. The original kick start gearbox was rebuilt and a new end cover and kick start was fitted. The only non standard item fitted was the inclusion of the deep sump kit for higher capacity and better oil cooling. 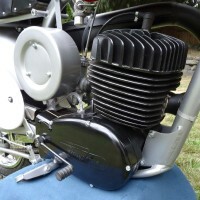 The carburettors were completely stripped and overhauled. 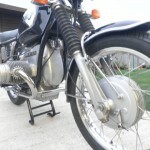 The wheel hubs were blasted, fitted with new bearings and rebuilt onto the original polished rims. The paintwork was re-finished in traditional piano black with white coachlines. 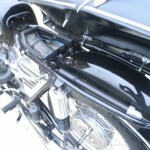 Most of the nuts and bolts were replaced with new stainless items as were the exhaust pipes and silencers. Many fasteners were also bright nickel plated. The seat was replaced with a complete quality British made unit with a steel base, new cover, new hinges, grab rail and trims. The original rear shocks were also stripped, the bodies were re-plated and the springs were powder coated. 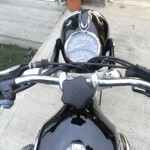 The bike retains its tool kit and original tyre pump. 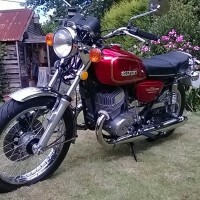 There were countless other replacement items including the fork gaiters, brakes, cables, battery, all oils and filters, grips, footrests and badges. 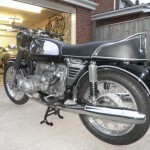 A superb quality BMW motorcycle restoration. 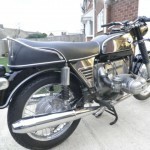 BMW R75/5 – 1973 For Sale or Wanted? 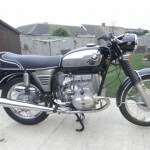 If you're looking for the perfect BMW R75/5 – 1973 for sale then take a look at the hundreds of restored classic motorcycles listed on our extensive Motorcycles For Sale pages. 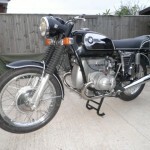 We regularly feature very nice restored BMW R75/5 – 1973 bikes for sale. 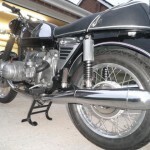 Spares and Parts for your BMW R75/5 – 1973? 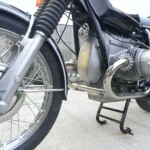 Workshop Manual for your BMW R75/5 – 1973?